A desolate courtyard surrounded by fields of mournful graves is all that remains of an ancient shrine to the Sikh faith?s founder Guru Nanak inside a sprawling Muslim cemetery in Baghdad. War, insurgents or looters have wiped any trace of a historical footnote that had preserved the memory of the Indian holy man's 16th-century journey through Arabia and his stay in Baghdad, hailed by Sikhs as an early example of inter-faith dialogue. "No one visits anymore," lamented Abu Yusef, the lean and bearded Muslim caretaker, standing in the nearly-bare patio where a disorderly stack of broken electric fans and a discarded refrigerator replace the prayer books and articles of Sikh worship that had furnished a shrine whose modesty mirrored the apparent humility of the man it honoured. "Before the war a few Sikh pilgrims would occasionally arrive," Abu Yusef said, referring to the 2003 US-led invasion that toppled ex-dictator Saddam Hussein and unleashed an unending cycle of violence. "Once or twice we even had Western tourists. Last year, after a very long time, a Sikh man came from Dubai who promised to return and rebuild the shrine. But since then, nobody," he said with a resigned shrug of the shoulders. When they came, the pilgrims would stay a night or two and convert the shrine into a temple, Abu Yusef recalled. "They slept in the courtyard, where they also cooked large quantities of food to share after worship with whoever came along," he remembered, pointing to the places in the roofless, sun-beaten enclosure with whitewashed walls and a plain concrete dais that had housed prayer books, painted portraits of the guru and a prized stone plaque from the 16th century. What is known about the origins of the site, which lies today inside central Baghdad's expansive Sheikh Marouf cemetery that adjoins a disused train station where decaying railroad cars rest frozen on rusted tracks, is gleaned from scant historical sources. One is a Punjabi hymn by the poet and philosopher Bhai Gurdaas, written several decades after the visit. That song, part of the holy scriptures of the world's 25 million Sikhs, recounts Nanak's travels with the Muslim minstrel Mardana who was his constant companion, their arrival in Baghdad and lodging outside the city. In Baghdad, say historical Sikh sources, the pair stayed with Sheikh Bahlool Dana, a renowned Sufi Muslim of the time. "It is curious that the hymn recording Guru Nanak's visit says that he chose to stay outside Baghdad, which at the time was a wealthy, magnificent city and an important centre of learning," said Abdul Majid Padar, India's learned charge d'affaires in Baghdad. "That probably means he had reason to stay outside the city," he said. "I believe it was because he knew about Sheikh Bahlool, and went looking for him." Nanak, an enlightened spiritual thinker who was born a Hindu but gained deep knowledge of Islam as India's other major religion at the time, travelled throughout his homeland and parts of the Middle East, seeking other men of his ilk. He shunned religious labels, teaching that man is judged by deeds, not the religion he proclaims. 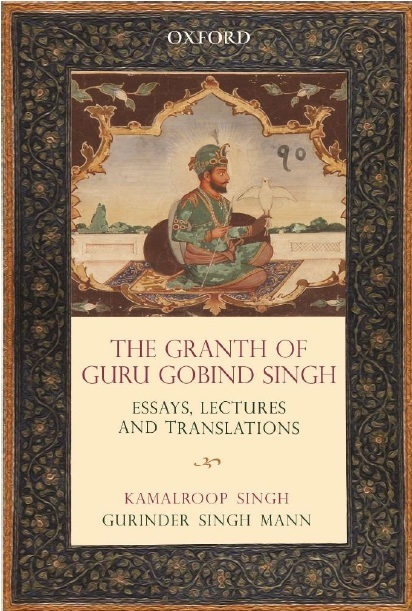 His ideas, which later formed the basis of the monotheistic Sikh religion, drew from Hinduism and Islam, but are regarded as much broader than a mere synthesis of the two. "Guru Nanak's stay with Sheikh Bahlool was an early example of inter-faith dialogue, of a kind that is hard to imagine in Iraq today," said Dr Rajwant Singh of the the Sikh Council on Religion and Education in the United States. Iraq has been torn by sectarian strife since the fall of Saddam, with Shiites, Sunnis and even the country's small Christian community victims of the bloodshed. It is in the courtyard of the Muslim Bahlool's own humble tomb that, five centuries ago, the remembrance to Guru Nanak was erected. "This shrine is very much sacred to the Sikhs as it stands testimony to Guru Nanak's visit and dialogue with the Muslim Sufi sheikh of that place," said Balwant Singh Dhillon, professor of Sikh studies at the Guru Nanak Dev University in India. Modern accounts of the shrine date back to World War I when the site was rediscovered, after being lost in obscurity for centuries, by a regiment of Indian Sikh soldiers sent to Iraq with the British army. Dr Kirpal Singh, a Sikh captain in the Indian medical service who travelled to Iraq, described the shrine in a letter dated October 15, 1918. "It is really a humble looking building and known to very few people except Sikhs," he said in an account quoted by the SikhSpectrum.com online journal. Other accounts and faded photographs reveal an ancient stone plaque at the entrance, commemorating the building of the memorial, as the centrepiece of the shrine. The plaque was dated 917 on the Islamic calendar, or 1511 A.D.
Pritpal K. Sethi, who visited Baghdad in 1968 with her late husband, in-laws and three children, told AFP she was moved to be standing at the same spot as the holy man. "I really got a great feeling as I was standing on the same site visited by Guru Nanak Sahib. It was a very emotional feeling," said Sethi, who was 31 at the time and living in neighbouring Kuwait. "It was a very small, simple structure of about 600 square feet (56 square metres). There was a large courtyard outside. Not many Sikhs used to visit at all," said Sethi, who is now 73 and living in the United States. "Definitely, the most precious thing at the shrine was the ancient plaque that verified the legitimacy of the site," she said. Curiously, it was the hymn by Gurdaas that probably led to the rediscovery of the shrine. Subedar Fateh Singh, one of the Sikh soldiers in Iraq during World War I, announced the discovery in 1918. "I am certain that Fateh Singh knew about the shrine from the hymn, which he must have learned in childhood, and he went looking for it," said Padar, the Indian embassy charge. The shrine was repaired by Sikh soldiers in the early 1930s, and reportedly again during World War II, when another regiment of Sikh soldiers was stationed in Iraq. But accounts of what happened more recently to the shrine and its contents, including the 16th century plaque precious to Sikhs, are sketchy. Shortly after the March 20, 2003 invasion of Iraq, Indian media reports variously said the shrine had been damaged or destroyed by US shelling, with other accounts claiming it had been bombed by Islamic extremists. But a visit to the shrine showed no hint of damage anywhere in or around the shrine, raising the possibility that everything, including the stone plaque, was likely looted. Abu Yusef, the caretaker, said he had been away at the time of the invasion and did not know what had happened and Padar, the Indian charge, said his own understanding of an attack during the war had come from news reports. But with the temple gone, the only footsteps of the Sikh holy man's journey through Baghdad remain in the memories of visitors like Sethi. "It greatly saddens me," she said about the shrine's destruction. "It signified Guru Nanak's wish to spread his message of peace, love and a rejection of superstitions and rituals in search of the truth," she said. "He yearned to spread this message throughout the world, and he travelled on foot from India to deliver it."